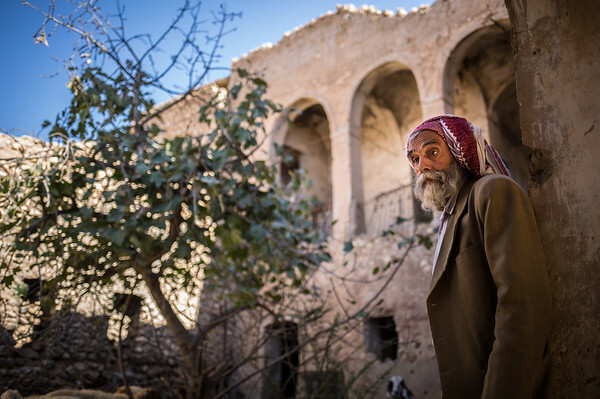 As of today, Sinjar's old city is still a ghost town. Streets have been cleared from explosives but not the buildings. No one lives there. Sahir is one of the few that dares walking in the rubble of the old city. He feeds his goats figs and bushes, as nature reclaims its territory. "Many people promised to help but never came back. I don't believe nor expect anything anymore. We have been forgotten by everyone," says Sahir, 62. “If this was happening somewhere else, all the world would be helping. Aren’t we human too, don’t we deserve better than this?"